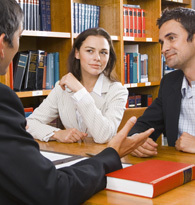 If you and your spouse have reached an agreement on your own, it may not seem necessary to hire an attorney. However, a number of unforeseen “legal issues can arise during divorce proceedings”. Our Spring Hill divorce attorney, David Day, will help guide you through the divorce process, protect your interests and ensure that your paperwork is completed correctly.